Whats your Favorite-Favorite? - I Love ABA! 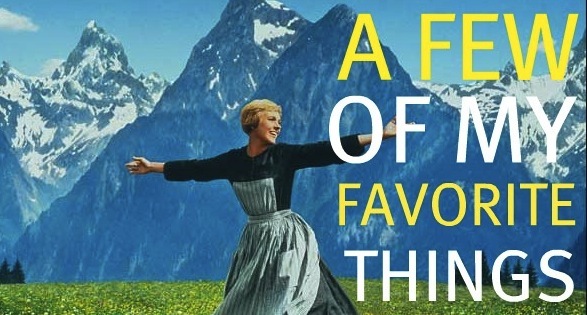 I once had a client who referred to things/activities/places that he really, realllllly, liked as his "favorite-favorite". As in, "French fries are my favorite- favorite". How cute is that?? Whether you work with individuals with Autism, or your child has Autism, I am quite sure a question you are regularly asking yourself is how to identify and properly build upon the child's motivation in order to teach or correct behavior. In other words: 1) what is it that the individual wants, 2) what is the individual willing to do, and NOT willing to do for what they want, and 3) how can I use this knowledge to teach? Say hello to Preference Assessments. What is a Preference Assessment? Basically, conducting a preference assessment on an individual will equip you with valuable (highly valuable) information about what they like, what they find enjoyable, and how much they like something You may already know that your son Nicholas likes trains, Barney, and toy cars. But do you know which one he likes the most? Do you know which one he satiates on the fastest? Do you know which one he likes the least? Wouldn't you like to know these things? Ultimately, we are all teachers. If you're a parent, then you may be teaching your children respect, manners, or household chores. If you are a professional, you may be teaching your client to count, ride a bike, or to have a conversation. As a teacher, it is essential that you approach instruction thinking about "whats in it for this kid?". As the adult we can often get caught in the trap of "do this because I say so", or its unfortunate cousin, "just doing this should be its own reward". No and no. When you approach instruction by first taking the time to determine what the learner is motivated for, and the degree of motivation (more on this in a sec), you win AND the learner wins. Obviously the learner wins because they are now highly motivated to comply with instruction in order to get what they want. You win because instead of an uphill battle with a child who just wants to get away from you, you now have an attentive and cooperative learner who is ready to be taught. Now that you understand why preference assessments are so important, you may be thinking this is some magic technique that you do once, write the information down, and then you are free to get on with your teaching for the next few years. Proper use of preference assessments means you will conduct them regularly (interests will change! ), you will be on the lookout for satiation (being "full" on the item), you will watch out for competing stimuli or items, you will make sure the response effort does not outweigh what is being offered, and you will understand that while a strong preference is usually an indicator of a potential reinforcer, this is not always the case. I have worked with clients who may LOVE to be praised, but no way are they going to work an entire therapy session just for praise. So once you have a list of highly preferred preferences (edibles, tangibles, activities, people, etc) just know that not everything on that list may serve as a reinforcer. Remember that by definition, the stimuli must increase the future likelihood of a behavior to be called a reinforcer. So if you regularly give your little learner a sticker after they exhibit a specific behavior, and the behavior does not increase over time then guess what? Those stickers are not reinforcers. I will often teach my staff to conduct brief preference assessments before each teaching block of trials (not session, trial). That is how much I value preference assessments, and approaching the learner with what they want. If you find yourself approaching the learner for instruction, and just reaching out and grabbing an item as their "reinforcer"...stop. Don't be a lazy instructor. Yes, preference assessments take time, they take practice to learn how to do them, and there is data collection involved. However, for your diligence and effort you get a super motivated and attentive learner to teach. I say that's a pretty good deal. Observe and/or Interview - This can be done by simply observing what the learner freely does in an environment, and what they choose to engage with or do. Or, you can prime the area with items you think the learner enjoys or have previously seen them interact with. Then stand back and observe what they go to, and how long they interact with each item. You can also interview the parents, teacher, or the learner (if appropriate) to find out information about likes/dislikes and get a rating scale of preference. I usually collect the interview information via a simple form or checklist. Structured presentation - Items are presented either in pairs or as a group, and the learner is told to "pick one". Items may or may not be replaced as the learner makes choices, depending on which type of preference assessment is being conducted: forced choice (paired method), multiple stimulus with replacement (MSW), or multiple stimulus without replacement (MSWO). Data is collected on how long the learner interacted with the item, as well as which item they selected (they cannot select multiple items), in order to calculate a hierarchy of preference.